LDC’S LOVE YOUR SKIN WEEK! This week, we at London Doctors Clinic are encouraging our patients and readers to “Love Your Skin”! We’ll be posting on the many different types of skin conditions to look out for – from skin tags to pigmentation problems, rashes to cellulitis, and much more. Find out everything you need to know to keep your skin in tip top condition! Your skin is your largest organ, which covers and protects your body. It has many functions, all of which are very useful! Anything that annoys, clogs, or inflames your skin can cause irritation, and itchy or blemished skin can be a major cause of embarrassment. It’s really important to take good care of your skin, but we all too often neglect it, and let it become dry and flaky. Allergens: these can be environmental (dust mites or pet hair), or reactions to certain foods or drugs (especially antibiotics, antifungals, or narcotic pain relievers). Sometimes, people can get inflammation of the skin when they wear costume jewellery, or use perfumed skin or laundry products. Seasons: winter can be really tough on skin, and it is common to experience dry skin throughout the winter months. In the summer, sunburn can cause skin to be itchy, especially when it begins to peel. Parasites and insects: those pesky little pests in our environment can irritate our skin by biting, stinging, or burrowing into our skin. Common blighters that irritate our delicate skin include scabies mites, lice, bedbugs, fleas, and wasps. Skin conditions: these are common and often first diagnosed in childhood. They include eczema, dermatitis, hives, psoriasis, or dandruff. Poor self-care: you must wash and moisturise regularly in order to keep the skin cleansed and supple. Skin which is unclean can be irritated by surface dirt or perspiration, and under moisturised skin will become brittle and flaky. Skin Infections: itching can be a sign that an infection is brewing. Ringworm is a fungal infection that causes a ring shaped rash to develop on the skin, and can cause an itchy scalp as well. If your feet are itchy (particularly between the toes), you may have an infection called athletes foot. Vaginal itching in women can be a sign of thrush. Hormonal: hormonal changes that take place in women during puberty, pregnancy and the menopause can sometimes be a cause of itching. There are several recognised pregnancy related skin conditions (such as pruritic urticarial papules and plaques of pregnancy – PUPPP) that are well known to cause itching. Avoid using harsh products on the skin, and when washing, don’t scrub too hard! Where Can I Get Help For Damaged Skin? If your skin is irritated, it will often resolve itself given time. Removing the suspected trigger for the irritation, watchful waiting, and following some of our tips above may be of some help. If your skin needs soothing, you can purchase relieving creams over the counter in your local pharmacy. Medications such as anti-histamines can be taken to help with an itch, and can be hugely helpful if your itching is keeping you awake at night. 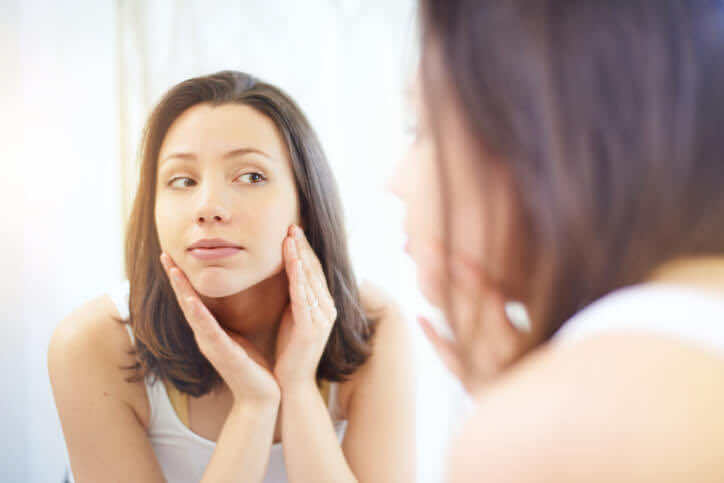 If your irritated skin is especially long lasting or severe, or the appearance of your skin is affecting your life, it may be time to seek help from a professional. Your GP or private GP is a great place to start. At your appointment, your GP will ask you lots of questions about your symptoms, and will ask to see the areas of skin that are bothering you. Sometimes your GP will be able to diagnose you based on your history and the clinical appearance of the skin; on other occasions, a small scraping of the skin may be taken for analysis to determine the cause of your irritation. As always, if you’re in search of a “GP near me” to talk more about your skin concerns, you can book a same day doctor appointment at any of our eight London clinics. And remember, stay tuned this week as we bring you articles on everything you need to know about skin!